As the market changes, your business needs to adapt and change as well. If your business depends on responding rapidly to changing market conditions, customer needs, or you frequently need to revise your product and service offerings, a Content Management System (CMS) website might be just what you need. Unlike static content websites, CMS websites allow you to dynamically change your web content giving you the ability to respond quickly to market opportunities and changing industry trends. An easy to use interface will allow you to update web content as often as needed, without enlisting the aid of a webmaster or other technical resources. And a CMS website is not just about content. Need a content management system with ecommerce features? No problem, our custom built CMS websites can provide all the features needed to enable your web-based business to thrive and grow. Rapidly respond to changing market conditions, competitve pressure and customer needs. Reduce cost by elimination your dependency on costly technical resources to update web content. As an alternative to a custom CMS solution, we can customize and implement one of the many popular open source CMS systems available today. These systems are designed to get you up and running quickly and cost-effectively while providing the flexibility to change your content as needed. Our experienced CMS development team has worked on major platforms including WordPress, Joomla, Magento, and Drupal, and can create customized designs and features that will set you apart from the rest of the competition. 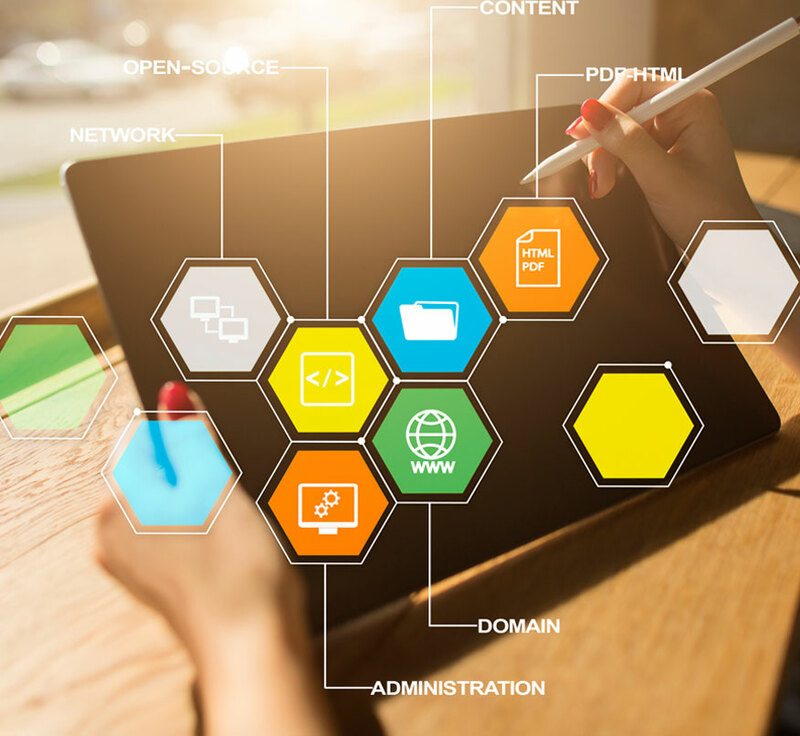 Both custom built and open source CMS solutions provide a number of benefits including the convenience and flexibility to dynamically change your content in this rapidly changing world. Contact us today to find out more about our complete range of CMS solutions and discover which one is right for you.